Warehouse logistics systems supplier KNAPP welcomed existing and prospective customers from across Europe to its ‘Move Ecom’ event recently. Over 30 companies representing a variety of blue-chip brands attended the two-day event, which included a visit to the warehouse of KNAPP client, Boots.com. 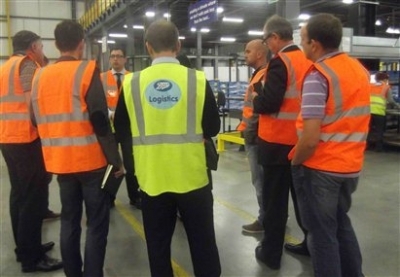 Visitors were given a full tour of the retailer's facility in Burton-upon-Trent, which opened last year. They even ventured inside its fully automated OSR Shuttle store. They also heard from Boots executives, including Craig Farina, the company's director of logistics, about how automated storage retrieval systems from KNAPP have helped the health and beauty retailer to meet rapidly growing e-commerce sales. KNAPP reported that other highlights of the Move Ecom event in the UK were informative presentations, including one from Heather Holman, operations support manager for John Lewis. Holman told the story of John Lewis' state-of-the-art national distribution centre (NDC) in Milton Keynes – including its latest instalment, a new 675,000-square-foot facility being built immediately adjacent to the existing warehouse. Sverker Lindbo, head of concept development at Ocado, explained how automated handling systems from KNAPP have helped Ocado to meet growing demand at its DCs in Hatfield and Tamworth as part of its hub-and-spoke distribution model. He also told delegates about the company's latest strategies including the tie-up with Morrisons; the launch of Fetch, its online pet store; and its new non-food offering, ‘evenmore’.